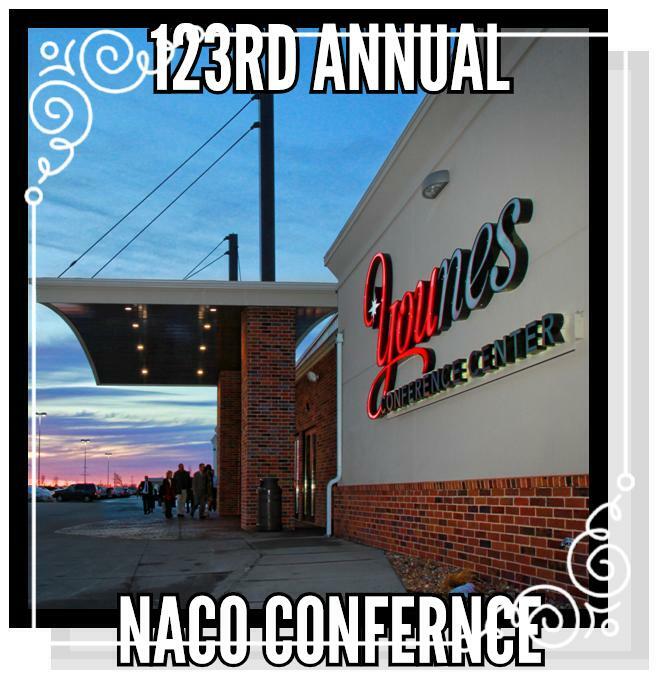 Re gistration is now open for the annual NACO conference that will be held at the Younes Conference Center in Kearney. The conference dates are December 13 through 15. Wednesday, December 13 is the opening session at 2 p.m. and the final day concludes with a Friday, December 15 breakfast, business meeting and awards presentations followed by a box luncheon dismissal around noon. County officials and their employees may register by clicking here . Vendor registration can be accomplished by sending an email to LeRoy Janssen . The general activities agenda can be accessed by clicking here . Group agendas are here . Other conference information concerning room reservations, County Official of the Year nominations, and the conference keynote speaker can be accessed here . The NACO Board of Directors received notice that Casey Sherlock resigned his Board of Director's Officer position earlier this month. After a conference call meeting on November 17, the Board of Directors voted to appoint Theresa Puls, Phelps County Commissioner, in Sherlock's Secretary-Treasurer position on the NACO Board. 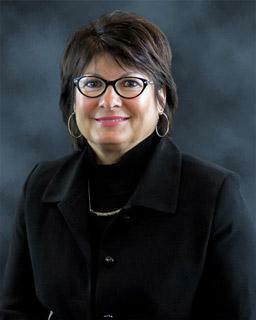 Puls is currently serving on the Board as the Central District Commissioner representative. That position will have a vacancy until the Central District has an opportunity to fill it. Recently, county board chairs received an invitation from the U.S. Census Bureau to participate in the 2020 Census Local Update of Census Addresses Operation (LUCA), as mandated by the Census Address List Improvement Act of 1994 (Public Law 103-430). While LUCA is a voluntary program, your county is strongly encouraged to consider registering by the deadline of December 15, 2017 to participate . To take a look at the reasons your county should register, click here . ﻿ Jason Dean from the Census Bureau will be conducting a Local Update of Census Addresses training in Lincoln, Nebraska January 12, 2018. This is a "how to" workshop covering pre-LUCA preparation (Geocoder/Address Count List/User List), LUCA Review (paper/digital/GUPS), LUCA submissions (mail/change file/SWIM) and the LUCA feedback phase. Click here to view the training flyer. 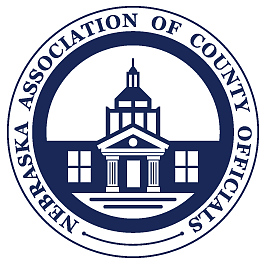 After completing its work, the 2017 Salary Committee forwarded its recommendations for 2019-2022 county elected officials’ salaries to the NACO Board. Following approval of the report by the NACO Board, NACO President William Tielke presented an overview of the report and its contents at the October Legislative Conference at Wildcat Hills. The next day copies of the report and supplemental information was electronically forward to each county board chair and each county clerk by email. The supplemental information includes: 2017/anticipated 2018 salaries of all elected officials, deputies, appointed officials, jail administrators and benefit information. If you are interested in obtaining a copy of the referenced 2019 – 2022 Minimum Salary Recommendations report and supplemental information, please contact Elaine Menzel at elaine@nacone.org . State and local governments have experienced a winning streak with qualified immunity like no other. In only two cases since 1982 has the Supreme Court denied police officers qualified immunity. In the last few years the Supreme Court has reversed a handful of lower court cases denying police officers qualified immunity each term. This may not seem like a big deal but the Court is deciding less than 70 cases per term. What is qualified immunity ? The link is provided with permission by Lisa Soronen, State and Local Legal Center, Washington D.C. The State and Local Legal Center (SLLC) files Supreme Court amicus curiae briefs on behalf of the Big Seven national organizations representing state and local governments. As a member of the International Municipal Lawyers Association (IMLA), NACO receives a wealth of information from the State Local Legal Center, including this recent article by Executive Director Lisa Sorenen. Multiple accounts of sexual harassment allegations are coming forth in workplaces impacting Hollywood, the military, government, the sports world and many other workplaces. While such issues are not new to work environments, recently relayed tales of such occurrences (past and present) afford an opportunity for employers to highlight a wider awareness of the issues associated with workplace harassment; review and reacquaint employers and employees with workplace policies; and possibly update workplace harassment policies to ensure protections for not just employers but more importantly also employees in the workplace in general. To read the complete article on workplace harassment, click here . The NACO Directory is also still available in electronic format by selecting the "Directory of County Officials" icon on the NACO webpage. The electronic version is updated on a regular basis and contains the changes that occur between printings of the hard copies. The 2017 County Board Handbooks and Supplements will be available for pickup at the annual conference in December. You can save the shipping charges mentioned above if you fill out the form and email it to Deb Eberly . On November 5, the U.S. Environmental Protection Agency (EPA) and the U.S. Army Corps of Engineers (Corps) proposed extending the implementation date of the 2015 “Waters of the U.S.” (WOTUS) rule until 2019. EPA and Corps have sent their proposal to the Office of Management and Budget for review, after which it will be published as a proposed rule in the Federal Register and opened to public comment for roughly 30 days. This would give the agencies more time to work through the rule-making process to repeal and replace the 2015 WOTUS rule, which is currently under a nationwide stay pending a U.S. Supreme Court decision early next year. WOTUS is a term that is used in the Clean Water Act (CWA) to define those waters (and conveyances) that require federal Clean Water Act permits. The term has been around since the 1970’s and is most commonly associated with CWA Section 404 dredge and fill permits. In 2015, the Obama Administration finalized a new WOTUS rule that would have expanded federal jurisdiction over county-owned infrastructure, including county-owned ditches, channels, culverts and storm water systems. To learn more, click here and read the entire article. Counties continually must “do more with less.” Federal or state-mandated increased in services and programs, but with less revenue and funding, means finding new ways to keep up. One solution can be found in each and every county – their own employees. ﻿This hands-on training session, led by employee engagement expert Robert Lavigna, will focus on how engaging the county workforce can save time and money, and contribute to better employee development at the same time.